The Duchess of Cambridge is famed for doing her own makeup (even on her wedding day!) and we often get asked about what makeup Kate Middleton uses. Below we take a look at what you'll find in Kate's beauty bag, and which skincare products Kate uses to create her flawless complexion! Kate's fresh and glowing complexion comes courtesy of beauty brand Bobbi Brown, who revealed that Kate is a big fan. They released a statement after the Royal Wedding saying one of their make-up artists "provided make-up artistry assistance to members of the bridal party". The Duchess applies Bobbi Brown Long-Wear Even Finish Foundation to give her skin a flawless cover. It has a lovely matte texture without looking cakey. This natural-looking foundation is super-hydrating and provides medium-to-full coverage, complete with SPF15. 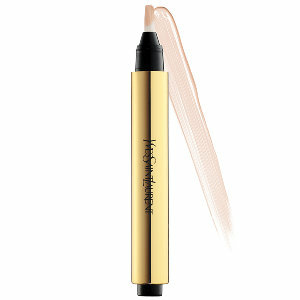 Like many models, makeup artists, celebrities, and women everywhere, Kate likes to use the award-winning Yves Saint Laurent TOUCHE ÉCLAT concealer to achieve her bright-eyed look. The iconic gold pen manages to erase any signs of fatigue, and fades out imperfections. Kate’s perfectly shadowed eyes are her defining facial feature. According to a source close to the Duchess, she uses Urban Decay’s NAKED Palette to create her trademark smoky eyes. The NAKED Palette is a product loved by make-up artists all over the world, and one palette is sold every five seconds globally. It contains 12 matte and shimmering pigments and has a combination for every occasion from day to night. To copy the Duchess' signature look, cover your lids in 'Toasted' - Catherine's all-time favourite shade and dust with 'Hustle' along the upper and lower lash-line. To create her perfectly defined eyes, Kate reportedly uses Lancôme’s Artliner pen. The 'Artliner' is akin to a felt tip and its fast-drying properties, promises never to smudge. Kate sweeps the liquid liner along her top and bottom lash line. The Duchess completes her eyes and elongates her lashes with Lancome’s Hynpose Mascara. With its 1,000 sensor bristles, the brush can increase lash volume up to 6 times with each sweep. With results like this, it's no wonder Lancome’s Hynpose Mascara found its way into Catherine's beauty bag! Kate's deep-set eyes are beautifully framed by her full eyebrows. 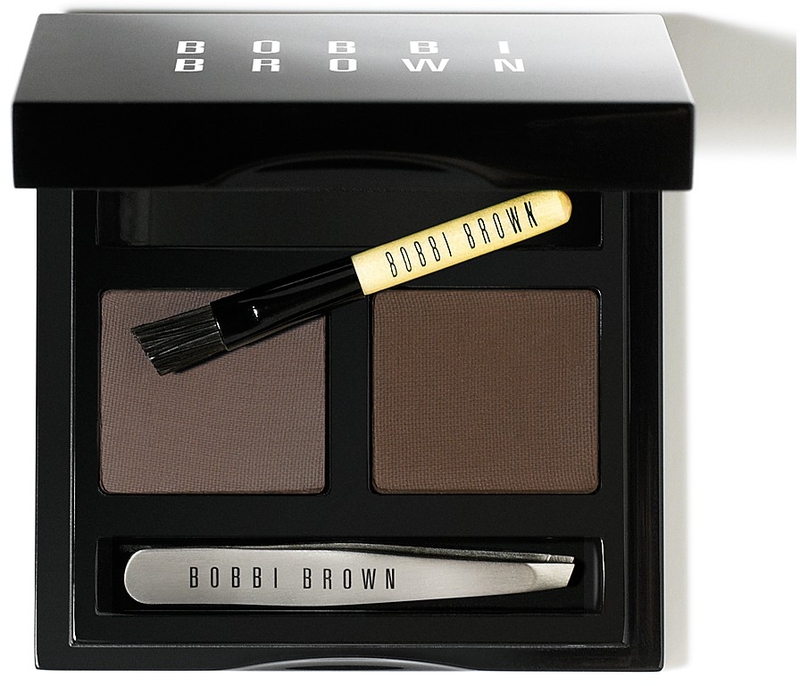 She uses the Bobbi Brown Dark Brow Kit to subtly fill in her brows to achieve a well-groomed appearance and a more polished look. This kit features two eyeshadow shades—Saddle and Mahogany— to define and fill in the brows, a two-sided mirror (with one side magnified) plus a mini Tweezer and Brow Brush. Kate prefers to balance her dark eye makeup with a neutral lip colour. 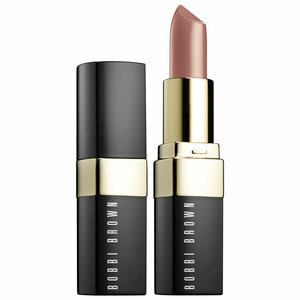 She wears the ﻿Bobbi Brown Sandwashed Pink Lipstick﻿ with a layer of Bobbi Brown Sheer Color lip gloss. 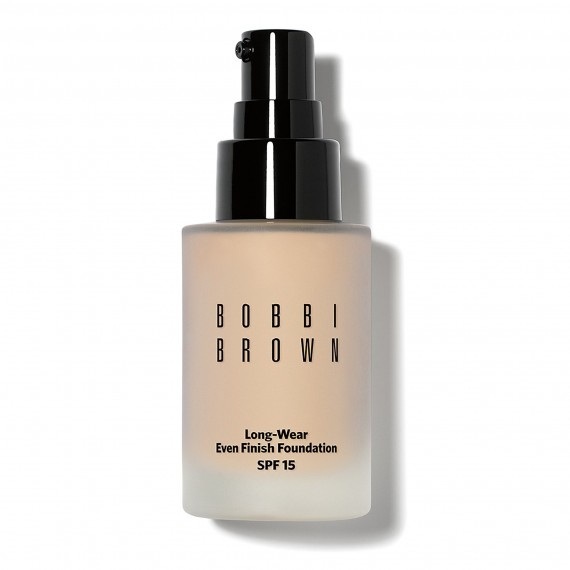 This lipstick is the bestseller that started it all for Bobbi Brown - Bobbi’s creamy, semi-matte lipstick was the first formula to launch (and sold out instantly). Woman love it because it offers long-lasting full-coverage color that is comfortable to wear all day long. Kate likes to highlight her killer cheekbones with Bobbi Brown Blush in pale pink. The silky powder blush glides on smoothly and offers a matte finish with long-lasting wear. The Blush shades on offer perfectly mimic the color that your cheeks turn when you're naturally flushed. To enhance her overall glow, Kate applies a bronzer. 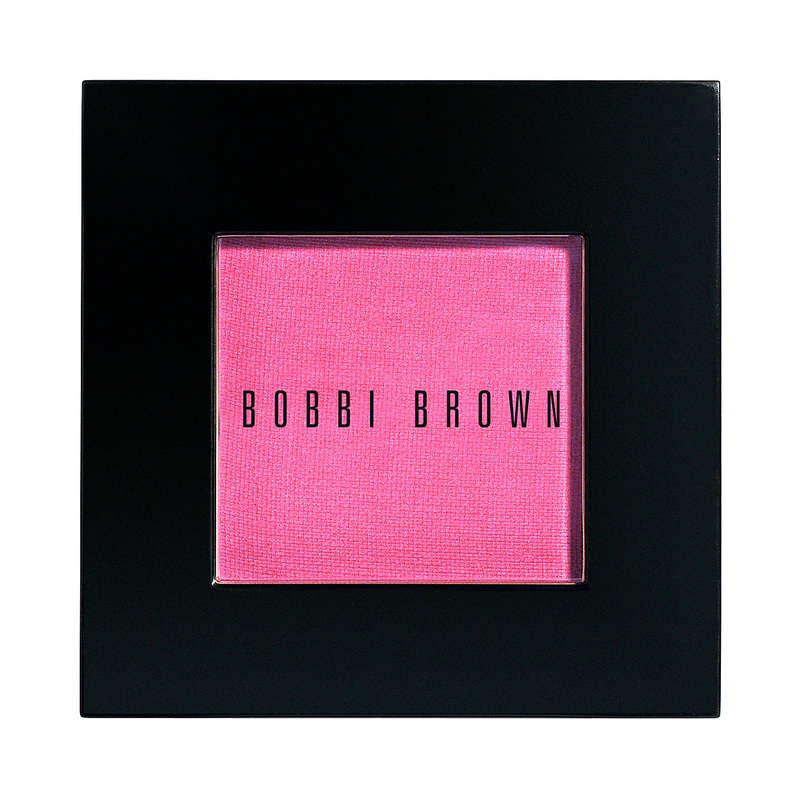 She prefers the Bobbi Brown Shimmer Brick Compact. 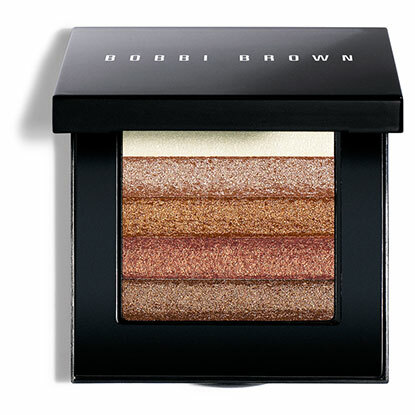 It's shimmering, brush-on powder creates a natural deep, bronzy glow. 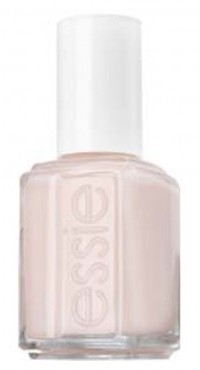 On the day of her wedding, it was revealed that Kate Middleton had her nails done by manicurist Marina Sandoval who used a mix of Bourjois So Laque Nail Enamel in Rose Lounge and Essie Nail Polish in Allure. The Duchess of Cambridge was gifted Skin-fix Hand Repair Cream from the Canadian Ambassador the last time that she and Prince William visited the country. 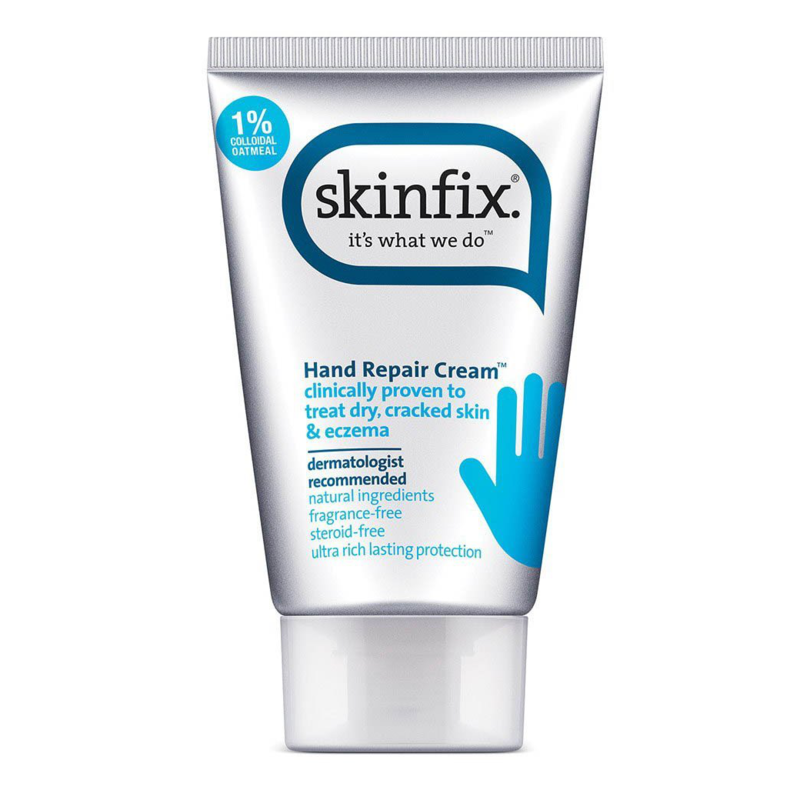 Suitable for all skin types, the steroid-free hand cream is good for dry or eczema- prone skin and has won awards in the U.S. In 2016 the Duchess of Cambridge was gifted with a few bottles of this natural face oil by Beuti Skincare. The small independent British beauty brand revealed to The Telegraph that their signature Beauty Sleep Elixer now has pride of place on Kate's dressing table. The face oil is fortified with fourteen precious plant oils, including Camellia, Lavender, Geranium and Neroli, the fast-absorbing, multi-beneficial elixir promotes the skin's natural barrier function, whilst renewing and rejuvenating to restore a healthy glow. 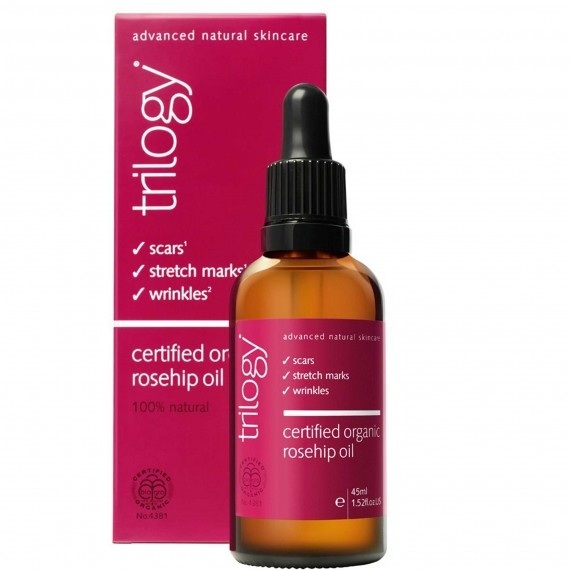 During her second pregnancy it was reported that the Duchess of Cambridge was using Trilogy Certified Organic Rosehip Oil. In addition to being an anti-aging booster, rosehip oil also contains essential fatty acids that hydrates the skin and reduces inflammation which can help prevent stretch marks. This all-natural rosehip oil is a popular choice of pregnant women around the globe. Learn more about the benefits of Rosehip oil here. 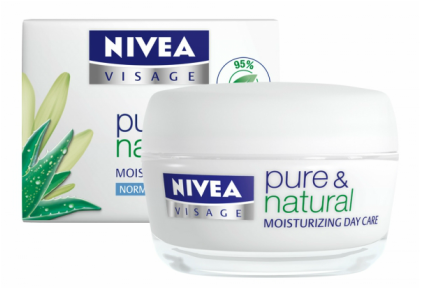 In 2011, Duchess Kate was seen stocking up on the Nivea Visage Pure & Natural Moisturising Day Cream at her local Boots store in London's affluent Chelsea area. The budget-friendly moisturising day cream contains effective, organically grown natural ingredients. In 2010 the Daily Mail reported that Kate Middleton uses a range of products from Karin Herzog. They include the Oxygen Face cream, Professional Cleansing gel and Vita-a-Kombi face cream. 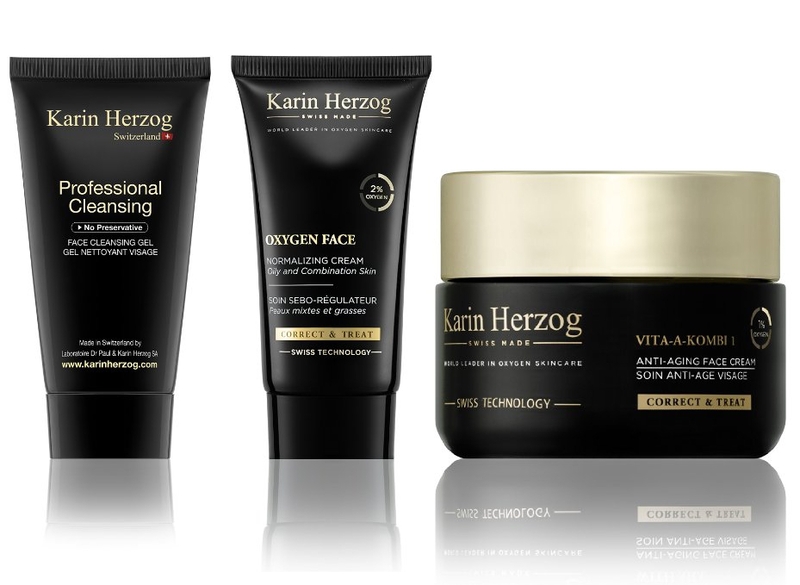 Karin Herzog is a cutting edge skin care line, formulated with stabilized oxygen by world renowned scientist Dr Paul Herzog. The oxygenated creams are suitable for all skin types - even the most sensitive. "White Gardenia Petals is a perfect choice that really suits the charming and feminine Kate, her beautiful wedding dress and her grace. 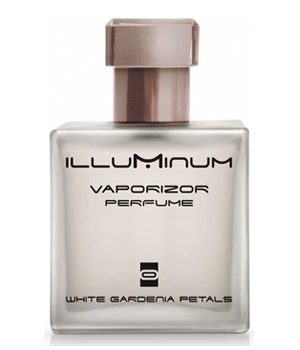 The notes of this fragrance highlight the refined and very fresh breeze of gardenia, which is a guiding scent of the composition. Unpretentious gardenia is embellished in the heart with a fine trace of coconut, ylang-ylang, jasmine and lily of the valley, laid on the base of amber wood." When Kate Middleton visits the Richard Ward hair salon in London she reportedly gets a conditioning treatments called Kerastase Rituals to keep her hair shiny and healthy. 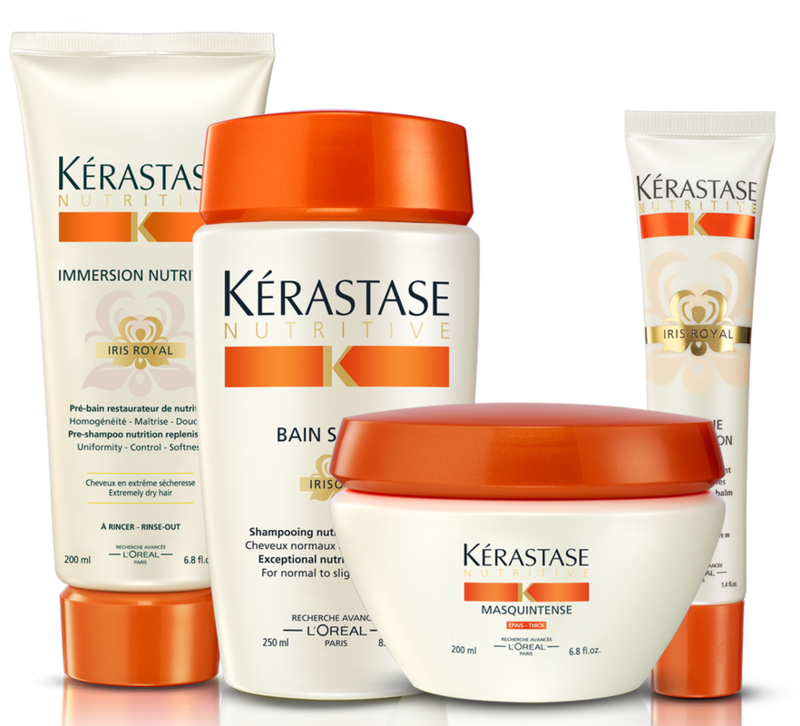 In between salon visits she reportedly uses Kerastase 'Nutritive' shampoo and conditioner formulated for dry hair at home.